N 43° 27' 19" and W -76° 30' 37"
Oswego in Oswego County (New York) with it's 17,787 inhabitants is a city in United States about 316 mi (or 509 km) north of Washington DC, the country's capital. Local time in Oswego is now 01:21 PM (Friday). The local timezone is named America / New York with an UTC offset of -4 hours. We know of 10 airports in the vicinity of Oswego, of which 4 are larger airports. The closest airport in United States is Syracuse Hancock International Airport in a distance of 31 mi (or 50 km), South-East. Besides the airports, there are other travel options available (check left side). Depending on your travel schedule, you might want to pay a visit to some of the following locations: Auburn, Syracuse, Lyons, Waterloo and Watertown. To further explore this place, just scroll down and browse the available info. Let's start with some photos from the area. 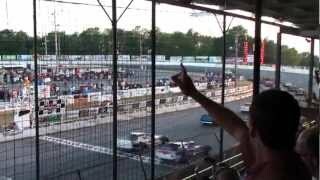 this is most of the race missing about 3 laps Race ran caution free and was over in 14mins There is a new King in town... Mike Lichty is the new King of Wings at Oswego Speedway. 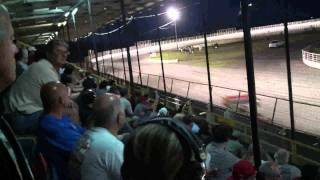 Full Race of 2012 King of Wings at Oswego Speedway July 7th, 2012. 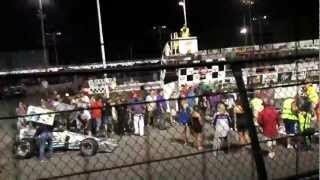 Here is the FULL race of the ISMA BUD select 55, from labor day weekend September 2nd 2011. 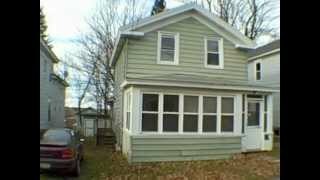 City of Oswego 3 bedroom 1.5 bath two story home with a garage. Hardwood floors, wall to wall carpeting. Enclosed front porch. All for $37500. 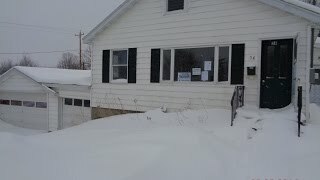 Contact Adolfi Real Estate at (315) 695-6434. 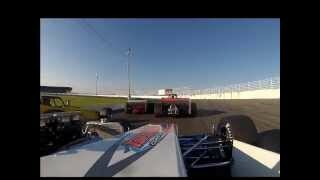 Highlights from the 2012, ROC modified 200 at oswego speedway, with close finish. There is also a Town of Fulton in Schoharie County, as well as a Fulton County in New York. Fulton is a small city in Oswego County, New York, United States. The population was 11,896 at the 2010 census. The city is named after Robert Fulton, inventor of the steamboat. The city of Fulton is located in the western part of the county. A branch of Cayuga County Community College is in the city, located in the shell of a former department store. Located at 43.3199, -76.4132 (Lat. / Lng. ), about 11 miles away. Scriba is a town in Oswego County, New York, United States. The population was 8,840 at the 2010 census. The town is named after landowner George Scriba. The Town of Scriba is east of the City of Oswego. The town was created in 1811 from the Town of Volney, then known as the Town of Fredericksburg. Located at 43.4653, -76.4306 (Lat. / Lng. ), about 4 miles away. Volney is a town in Oswego County, New York, United States. The population was 5,926 at the 2010 census. The town was named after a French author who toured the area in 1808. The Town of Volney is centrally located in the county. Located at 43.3428, -76.3578 (Lat. / Lng. ), about 11 miles away. Fort Oswego was an important frontier post for British traders in the 18th century. A trading post was established in 1722 with a log palisade, and New York governor William Burnet ordered a fort built at the site in 1727. The log palisade fort established a British presence on the Great Lakes. During the French and Indian War, this fort was captured and destroyed by the French in 1756. The site is now included in the city of Oswego, New York. Located at 43.4617, -76.5142 (Lat. / Lng. ), about 0 miles away. Hannibal is a town in Oswego County, New York, USA. The population was 4,854 at the 2010 census. The name is derived from the hero of ancient Carthage, Hannibal. The Town of Hannibal also contains a village also called Hannibal. The town is on the west border of the county. Located at 43.3194, -76.5778 (Lat. / Lng. ), about 10 miles away. Hannibal is a village in Oswego County, New York, USA. The population was 555 at the 2010 census. The village is named after Hannibal, the hero of ancient Carthage. The Village of Hannibal is located in the western part of the Town of Hannibal on New York State Routes 3, 104, and Oswego County Route 34. Located at 43.3208, -76.5761 (Lat. / Lng. ), about 10 miles away. Located at 43.3964, -76.4744 (Lat. / Lng. ), about 4 miles away. Minetto is a hamlet in Oswego County, New York, USA. The population was 1,069 at the 2010 census. 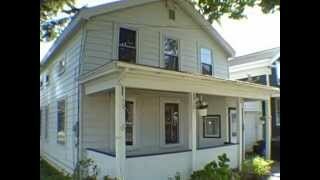 Minetto is located in the Town of Minetto at the south city line of Oswego, New York. It is the only settlement in the town. Located at 43.3961, -76.4742 (Lat. / Lng. ), about 4 miles away. State University of New York at Oswego, also known as SUNY Oswego and Oswego State, is a public university in the City of Oswego and Town of Oswego, New York, on the shore of Lake Ontario. It has three campuses: historic lakeside campus in Oswego, Metro Center in Syracuse, New York, and Phoenix Center in Phoenix, New York. SUNY Oswego was founded in 1861 as Oswego Normal School by Edward Austin Sheldon, who introduced a revolutionary teaching methodology Oswego Movement in American education. Located at 43.4514, -76.544 (Lat. / Lng. ), about 2 miles away. Battle Island State Park is a state park located on the Oswego River in Oswego County, New York. It got its name from a battle that took place on a nearby island in the mid 18th century. The majority of the land was deeded to the state in 1916, the rest in 1938 at which time it was designated a state park. The park is located on the west bank of the Oswego River, north of the City of Fulton, along New York State Highway 48. The park offers golf, cross-country skiing, and a food concession. Located at 43.36, -76.43 (Lat. / Lng. ), about 8 miles away. Fort Ontario is a historic fort situated by the City of Oswego, in Oswego County, New York in the United States of America. It is owned by the state of New York and operated as a museum known as Fort Ontario State Historic Site. Located at 43.4658, -76.5081 (Lat. / Lng. ), about 1 miles away. The Battle of Fort Oswego was one in a series of early French victories in the North American theatre of the Seven Years' War won in spite of New France's military vulnerability. During the week of August 10, 1756, a force of regulars and Canadian militia under General Montcalm captured and occupied the British fortifications at Fort Oswego, located at the site of present-day Oswego, New York. In addition to 1,700 prisoners, Montcalm's force seized the fort's 121 cannon. The Oswego Canal is a canal in the New York State Canal System located in New York, United States. Opened in 1828, it is 23.7 miles (38.1 km) in length, and connects the Erie Canal at Three Rivers to Lake Ontario at Oswego. The canal has a depth of 14 ft (4.2 m), with seven locks spanning the 118 ft (36 m) change in elevation. The modern canal essentially follows the route of the Oswego River, canalized with locks & dams. Located at 43.3533, -76.4292 (Lat. / Lng. ), about 8 miles away. WNYO is a radio station broadcasting from the State University of New York at Oswego in the City of Oswego, New York. Broadcasting from the heart of SUNY Oswego at the campus center, The station is run entirely by SUNY Oswego students. Although a few members of the Oswego faculty have their own shows. WNYO broadcasts music of almost any genre to the entire campus and the surrounding city on 88.9FM. Located at 43.452, -76.5441 (Lat. / Lng. ), about 2 miles away. 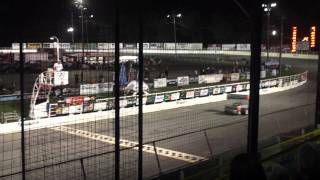 The Oswego Speedway (nicknamed "The Steel Palace") is a race track in Oswego, New York. It was built in 1951 and today is an asphalt race track. The track is the Labor Day Weekend home of the 200-lap, non-wing, big-block supermodified Budweiser Classic and Race of Champions (a modified touring series event). Oswego Speedway also hosts a special wing week, where they put big wings on the usually non-wing cars to make them go faster. Located at 43.4572, -76.4819 (Lat. / Lng. ), about 1 miles away. WRVO Public Media is a non-profit public radio station in Oswego, New York licensed to the State University of New York at Oswego, it operates from studios in the Penfield Library on the SUNY Oswego campus. It's multi-station network serves more than 15 counties in central and northern New York from transmitters in Clayton, Oswego, Syracuse, Utica and Watertown. 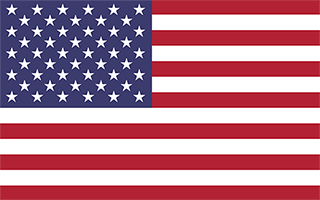 Low-power translators serve Geneva, Hamilton, Norwich and North Watertown. Located at 43.4206, -76.5442 (Lat. / Lng. ), about 3 miles away. Oswego County Airport is a county-owned, public-use airport three nautical miles (6 km) northeast of the central business district of Fulton, in Oswego County, New York, United States. The airport is located in Volney, New York. It has been designated by the Federal Aviation Administration as a general aviation reliever airport for Syracuse Hancock International Airport, located 25 miles to the southeast. Located at 43.3508, -76.3881 (Lat. / Lng. ), about 9 miles away. The H. Lee White Marine Museum is located in Oswego, New York. It was founded in 1982 by Rosemary Sinnett Nesbitt (1924-2009), a local professor and the City of Oswego Historian. Nesbitt retired from directorship of the museum in 2008 after completing 25 years of service. It is the current home of the tugboat Nash, a National Historic Landmark, one of the only remaining US Army vessels from the Normandy Landings. Located at 43.4635, -76.5156 (Lat. / Lng. ), about 1 miles away. WOSW is a radio station broadcasting a classic country format. Licensed to Fulton, New York, USA, the station serves the northern suburbs of the Syracuse area. WOSW is owned by Cram Communications, LLC (one of many companies majority-owned by Craig Fox). Located at 43.2947, -76.4431 (Lat. / Lng. ), about 12 miles away. WSGO is a radio station broadcasting a sports format. Licensed to Oswego, New York, USA, the station serves the Syracuse area. The station is currently owned by Galaxy Communications and features programing from ESPN Radio. The station, like most of Galaxy Communications's Oswego cluster, is a direct repeater of a Syracuse sister station, in WSGO's case, WTLA. Like WTLA, it simulcasts its programming full-time on an FM translator (W261AC, at 100.1 FM). Located at 43.4156, -76.4667 (Lat. / Lng. ), about 4 miles away. 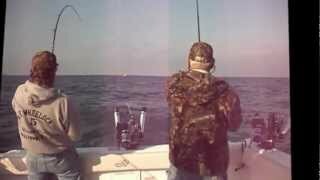 Lake Neatahwanta is located in and near the city of Fulton in Oswego County, New York. It covers 750 acres and is used for recreational swimming. About one-half of the lake is located within the city, while the other half is located in the town of Granby. Located at 43.3086, -76.4388 (Lat. / Lng. ), about 11 miles away. Sterling Renaissance Festival is a Renaissance Faire that was started in 1976 by Dennis Ouellette, Sr. , and later owned and operated by Gerald and Virginia Young in Sterling, New York. The setting is the year 1585 in the fictional village of Warwick, which rambles across a wooded hillside and includes many permanent structures (some two-story). Located at 43.3605, -76.6553 (Lat. / Lng. ), about 10 miles away. The Campus Center Hockey Arena is a 2,500-seat multi-purpose ice arena located in Oswego, New York on the campus of SUNY Oswego. The arena is also the home to the Oswego Lakers Men's and Women's ice hockey teams competing at the NCAA Division III level in the State University of New York Athletic Conference (SUNYAC). Located at 43.4522, -76.5441 (Lat. / Lng. ), about 2 miles away. Sunoco's Fulton ethanol plant in Fulton, New York is the first such facility owned by the company. The plant is spread over an area of 115 acres in Riverview Business Park and includes a 250,000 ft² brewhouse. The plant has the capacity to produce 85m gallons of ethanol annually. Northeast Biofuels opened the plant in 2008; however, design flaws led to growth of bacteria in pipes that were difficult to clean. Northeast Biofuels tried to rectify the problem and fix the pipes but failed. Located at 43.3274, -76.4169 (Lat. / Lng. ), about 10 miles away. These are some bigger and more relevant cities in the wider vivinity of Oswego.